The Build Tools tab of the Embedded category contains a list of all the installed build tools, as established by an automatic scan of your system. From here, you can rescan for tools that you may have installed recently or manually add a tool that was not found by the scan. Each installed language tools is listed, including its version number. 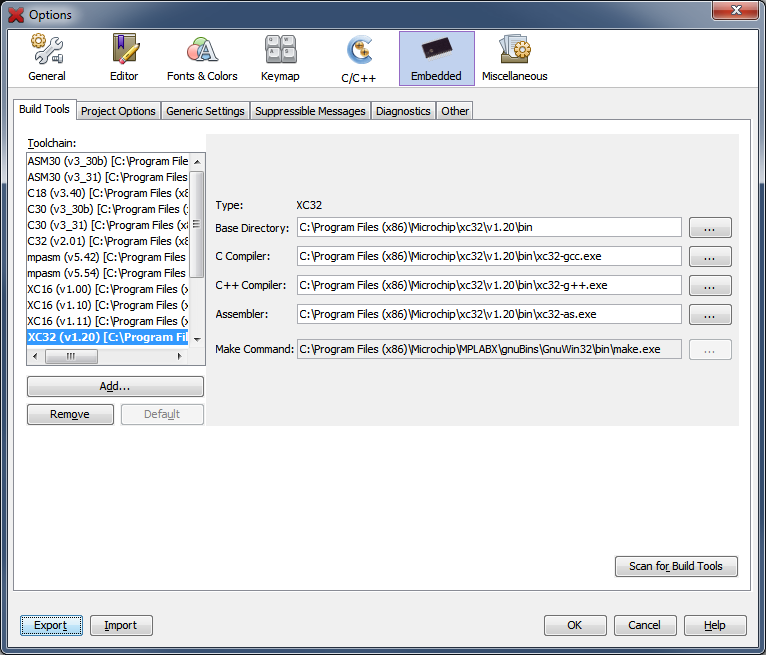 Multiple versions of each tool can be installed at the same time. This will rescan your environment and re-create the default toolchains. Changes you may have made to these toolchains will be lost.